Have you ever heard or said, “I’m a sinner saved by grace.” I know I’ve said it and read it on bumper stickers. In my reading this week, this identification was challenged. Are we really sinners first? Are you a sinner? Is that the way the world sees you? Once we were sinners. Sinner’s sin. (Habakkuk 1:13). But we were saved once for all by the blood of Jesus when we accepted him as our Lord and Savior. (Hebrews 5:9) That salvation gave us a new name. Saints. Holy people. (1 Corinthians 1:2). God wants us to live out our salvation as saints who sin. In his grace, we spread the gospel of Jesus Christ in this sin-filled world by our words and actions. “But by the grace of God I am what I am, and his grace to me was not without effect. No, I worked harder than all of them—yet not I, but the grace of God that was with me (1 Corinthians 15:10). Abuse tainted my childhood and four years in the Navy taught me the ways of a sailor. Later, a failed marriage sent me spinning out of control. As an LPN, I got a job at Methodist Hospital (Memphis) where I worked afternoons and weekends to limit my drinking hours. I had no self-worth and no hope. Then I met Earl, the chaplain for the floor I worked on. He invited me to eat supper with him at the hospital cafeteria often and became a friend. I told him all about my life and he listened. He never preached at me but encouraged me to call him if I needed help. 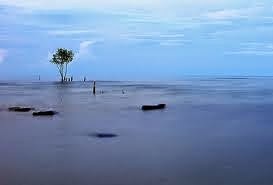 Still, I kept him at a distance—no home telephone number and no address. Four years into our marriage, and holding the esteemed position of pastor’s wife, my past had devoured my soul. I avoided church and church members for fear they’d see the real me. Earl and a few of his close friends encouraged me to go on a Walk to Emmaus. I heard testimonies from several of God’s forgiven daughters. I felt like the woman at the well: I met a man who “told me everything I have ever done” (John 4:29 NIV). I accepted God’s forgiveness that weekend and promised I would tell every one of His great love and mercy. Father, You saw and touched the depths of my soul—my pain, my shame, my past. You brought it all out of the darkness, into the light and under the blood. You healed me and freed me from my chains. May I always boldly proclaim Your Word as you bind up the brokenhearted and set the captives free (Isaiah 61:1; Luke 4:18 NIV). 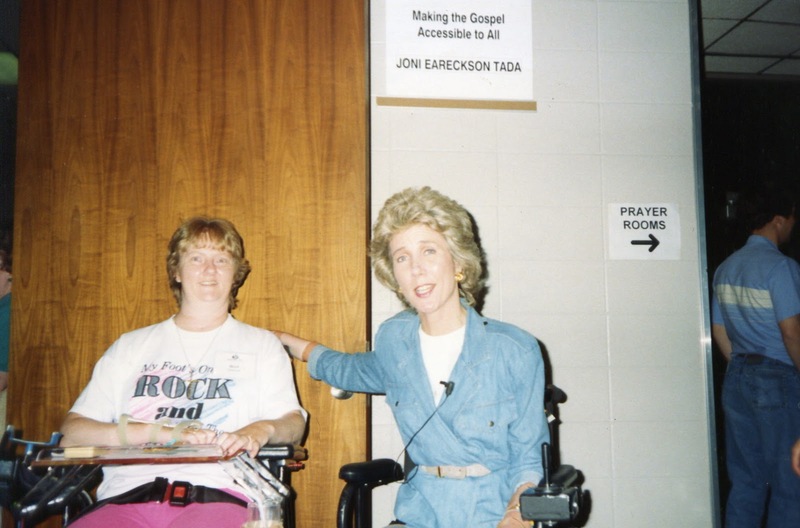 After returning home from rehab at Shepherd Spinal Center in Atlanta, GA, in June 1991, Earl’s dad gave me a movie titled “Joni.” He told me she had broken her neck and severed her spinal cord in a diving accident when 17. A quadriplegic, she had shattered myths about living with a disability and excelled in Christian ministry. Fast forward to June 1994, Earl and I attended a conference for evangelism where both Billy Graham and Joni would be speaking. When we registered for the conference, I didn’t sign up for Joni’s workshops. One table held a Bible near enough for me to open. It was a spiral-bound, NIV, hardcover with large print, which made the text easy to read. The Bibles’ spiral binding allowed it to lie flat on the table and made it easy to handle. It contained the New Testament and Psalms, and Joni had written an introduction to each book. How perfect for me! I tried to purchase the Bible but learned it was for display only. The last afternoon, I went outside to warm up in the sun. A shadow fell across my face and I sat up. “Excuse me, mam. I’d like to give you this Bible.” Yes. God is good. I received that special gift with delight from a friend I did not want. “Now you are the body of Christ, and each one of you is a part of it” (1 Corinthians 12:27 NIV). Check out my new site http://afaithfulfather.com to follow Earl and I on our journey. For unto us a child is born, unto us a son is given: and the government shall be upon his shoulder: and his name shall be called Wonderful, Counsellor, The mighty God, The everlasting Father, The Prince of Peace (Isaiah 9:6 KJV). Here we are at Advent again. We’re waiting and preparing for the birth of God’s Son, the Christ Child. He gave up glory on His majestic throne to come to earth, fully man yet fully God. He was acknowledged as the Christ while still in a virgin’s womb. Born in a stable. Laid in a manger. Serenaded by angels. Gifted by kings. This wasn’t the beginning for In the beginning was the Word, and the Word was with God, and the Word was God (John 1:1 KJV). Earl and I have a print by Ron DiCianni called “Heaven’s Loss.” Focusing on the Christ Child lying in a manger, an archangel leans over Him as to have one last look. His humanity was for our sake. For the Son of man is come to seek and to save that which was lost. (Luke 19:10 KJV). I am overwhelmed by Gods’ goodness. Though I deserve nothing I have everything. In His mercy and grace and by His life, death, and resurrection I have eternal life without fear or guilt or shame. My prayer is that you too know Him and His love. My youngest sister called me not long ago. She was under a lot of stress and asked if she could visit for a week. I was on bedrest, weak from illness, and believed she needed something from me that I didn’t have to give. I was up for a limited amount of time each day and I really wanted to concentrate my time on my own desires. Was I being selfish? Did I not appreciate my sister’s need to be with me. Though, I was unable to do the simplest of tasks for myself I could love her. I recalled how I visited her during her yearlong fight with breast cancer. I couldn’t fix her problem, but I could cheer her on as she reached for the prize—healing. I decided to have her come. Each day she was here she sat by my bedside and we talked about our families, our illnesses, our joys, and our blessings in Christ. She even gave me a manicure and a pedicure. As we talked, I confessed how I had struggled with her visit and how happy I was that she was with me. She said that for her, spending this time with me blessed her. My emotional pain and discouragement began to melt away as my sister gracefully shared Christ’s love and brought comfort to me. Are you denying your friends and family members opportunities to serve you?